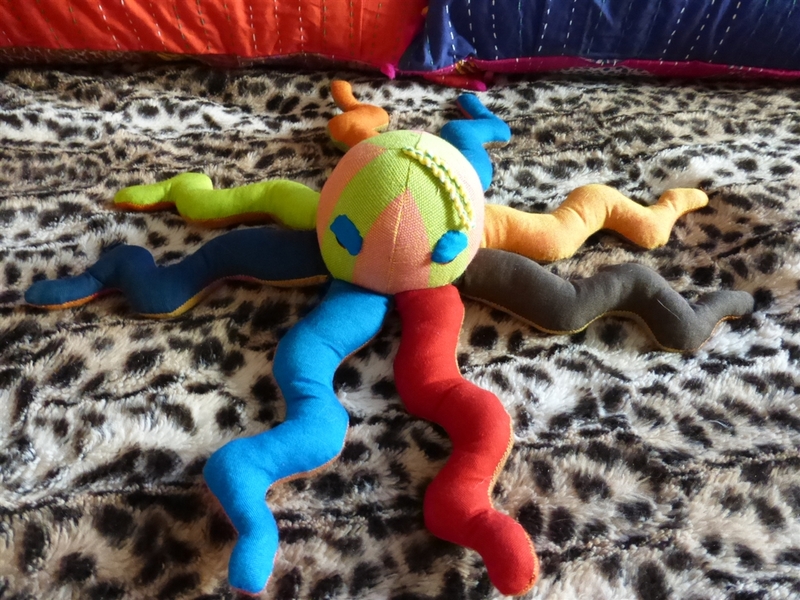 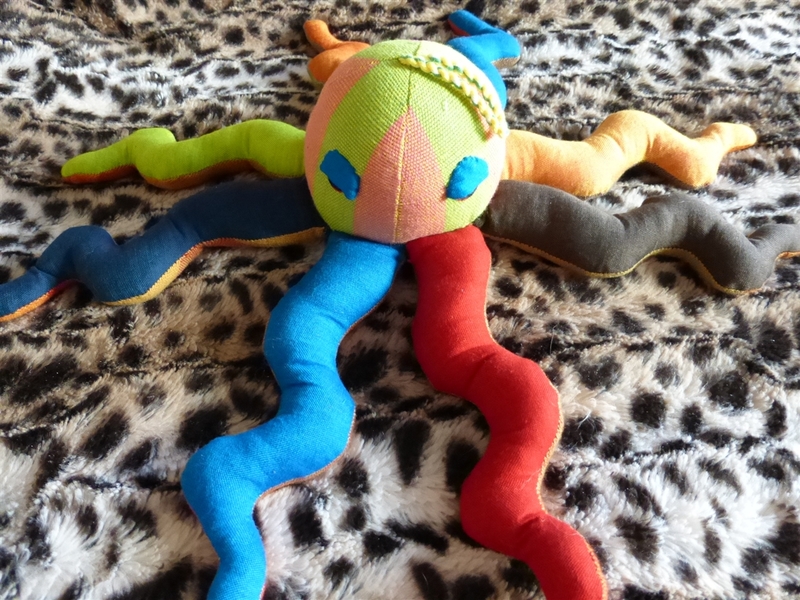 This festively, fun stuffed Octopus is a colorful addition to any child's collection of toys. 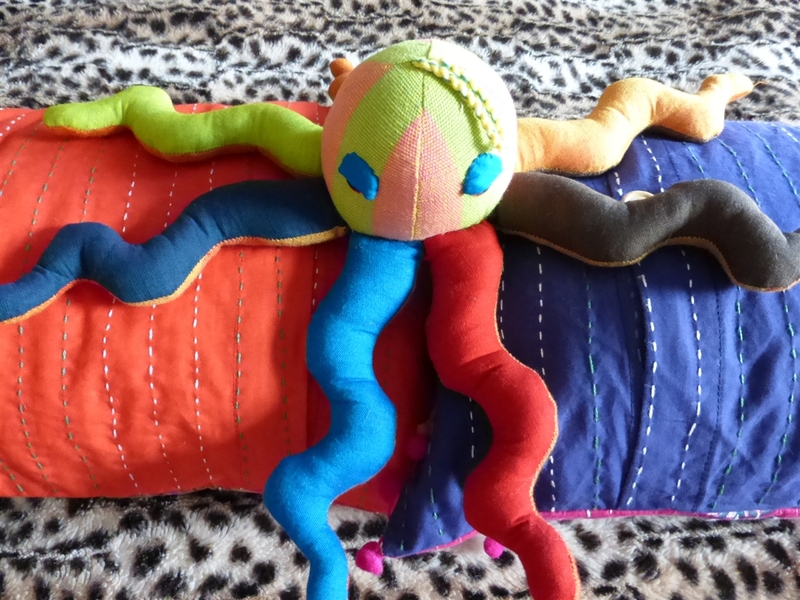 Durably made and beautifully hand sewn, made in Sri Lanka. The Octopus is 16"x16" in size.